At a CRISP -30C this morning, it was a good thing there wasn't much for a breeze let alone wind! Much like my cat these days, my enthusiasm to leave the comfort of our home and a burning fireplace has been a bit lacking! With the exception of feeding livestock, this gal has been pressing her nose up to the windows and scanning the great outdoors from within! 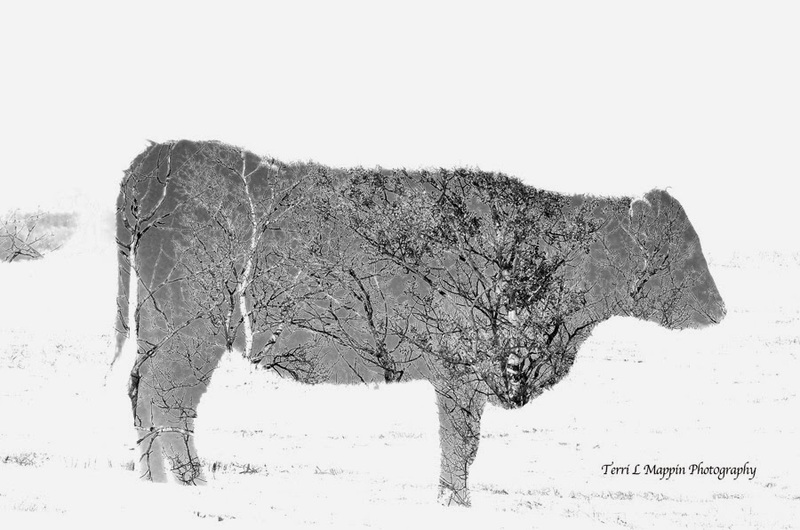 However, during chore duty today I couldn't resist taking an abstract of this heifer as she too, stood soaking up the sun's warm rays. Cool! How do you do this? Will the artist reveal her secrets?